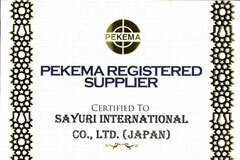 Sayuri International started a special warranty program in Mauritius recently. 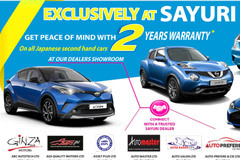 The two year warranty service will be issue by Sayuri Related Showroom dealers in Mauriitus. Following is an advert published in Mauritius newspapers regarding the service. Celebrating the 20th anniversary, Sayuri International held an alms giving and pirith enchanting program at Sayuri head office on 25th of March. 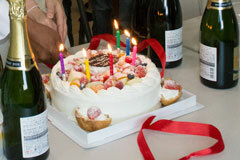 Families of the Sayuri staff and their close accociates participated the event. 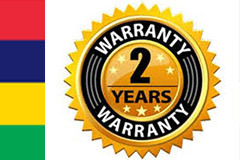 Celebrating Sayuri International’s 20th anniversary, now we are offerring a special warranty on all the Japanese cars sold in Mauritius, at our related showrooms. You can ask for "Warranteed Sayuri Cars" from showrooms in Mauritius. Sayuri International has launched a special campaign for Sri Lankan customers to get the maximum benefit from recent car import rax revisions. Now freight + insurance + and sayuri comission has become as low as 150,000yen for some models. Village Car Co Limited of Bangladesh has joined the Sayuri International's global network of car dealers. 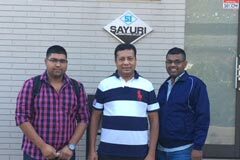 Village Car Co Limited is now an authorized Sayuri car dealer in bangladesh. 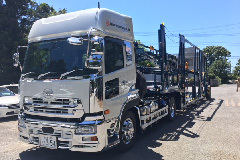 Special promotion has been started for New Zealand customers who wish to purchase cars from Japanese auctions. FOB price = Auction price + Yen 40,000. 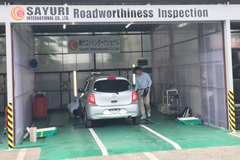 Sayuri International is now converting RHD vehicles to LHD to use in most of South American countries. 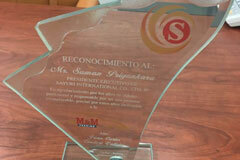 It's converting factory is locate in Lima City, Peru. 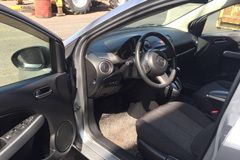 Please talk to us to get your RHD vehicle converted to LHD. 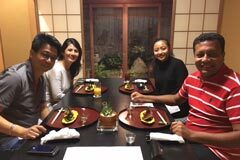 CEO of ABC Group of Mauritius Mr.Dean Ah Chuen and his wife's visit to Japan. CEO of ABC Group of Mauritius Mr.Dean Ah Chuen and his wife visited Japan. 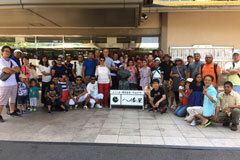 Mr. Saman, president of Sayuri internation and his doughter accompanied Mr.Dean and his wife on a tour around Kyoto. Sayuri International Co ltd Japan and Carbiz Co Ltd Suriname signed a partnership agreement this week, during its owners visit to Japan. 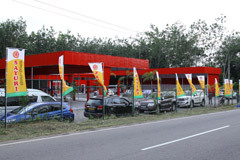 Now on, Carbiz Co Ltd will be the authorized Sayuri car dealers in Suriname. 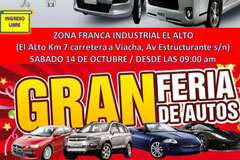 A mass vehicle sale campaign has been organized by Sayuri International, in Bolivia Free Zone on 14th October. Come and pick a quality Japanese car for a competitive price. 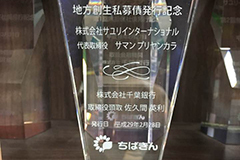 Bolivia Used Vehicles Association honored Sayuri International Co Ltd as a number one trustworthy supplier in Japan. Bolivia Used Vehicles Association heads visiting Sayuri International today and had lengthen of discussion about control the condition of the vehicles import to Bolivia. The newly build Sayuri guest house was opened on 1st September. 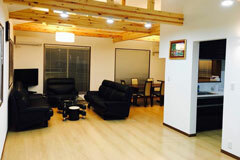 The guest house comprises of two separate units to conveniently accommodate two guests at once. Each unit consists of a bedroom, attached bathroom and a small kitchen. This year's anual trip of Sayuri International was to Fukushima area in Japan. The two day trip was full of fulfilled events and memories. Several of Mauritius partners too Joined the trip this year. Our legal advisor of Mauritius Mr. Vedakur.S.Rampoortab, Sayuri International's Mauritius representative Mr.Shaan Surnam, and the family of Mr. Vivier Veerasamy of ABC Autotech of Mauritius recently visited Japan. 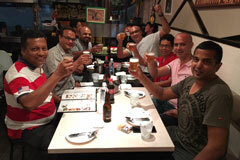 They all joined our anual trip and enjoyed well with Sayuri staff. 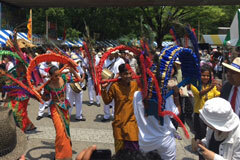 13th Sri Lanka Festival in Japan took place at Yoyogi Outdoor Stage, Shibuya on 24th & 25th of June. The event organised by the Sri Lanka Association in Japan was a huge success with record number of visitors. Representatives from Otowa Trading & Sayuri Automobiles BANGLADESH- Mr. Mahmudul Hasan MD.Yusuf, Mr. Nazmul Alam Surjo, and Mr. Alamgir Kabir participated in the year end party of Sayuri International in last december. 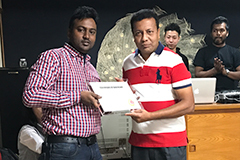 During the event, Mr.Saman Priyankara, president of Sayuri International awarded the dealership certificates for Otowa Trading & Sayuri Automobiles BANGLADESH. Karunakarala Ayurveda Spa & Resort was present at the Thai Travel fair held in Bangkok last week. The exhibution stall of the Karunakarala Ayurveda Spa & Resot was a major attraction at the international event.